Humble, generous, and kind, John Hollander Jr. lived a faith-centered life rich in family and service to others. With a heart that knew only love and possibilities, John was a devoted husband, father, grandfather, great grandfather and friend. Warm and welcoming, John never knew a stranger, and he met life’s joys and trials equally. To all who knew him, John was a man of integrity, dedication, and certainty. Revered by many, John will long be remembered in the hearts of those who were blessed to know him. Despite the obvious gloom of the Great Depression, the power of hope undulated in the hearts of many. With a natural drive to not just endure but thrive in the face of uncertainty, the nation continued to put one foot in front of the other to build a better future. Nowhere was there more hope than in the home of John and Henrietta (Wesseling) Hollander Sr. as they welcomed their son John into their hearts and home on November 6, 1937. 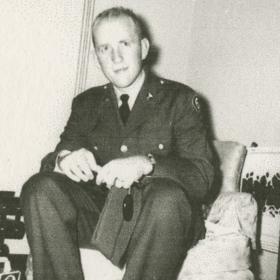 Born in a time of struggle and having grown up in the wake of WWII, like many in his generation, John’s early years were firmly centered in the values of family, faith, and community. While his father provided for the family through his work as a painter in the Waters Building in downtown Grand Rapids, his mother ran the home. Having immigrated from the Netherlands, the Hollanders instilled a deep appreciation of the freedoms and privileges available to their five children. Along with his four older siblings, Gertrude, William, Albertena, and Sidney, John enjoyed a childhood filled with time outdoors playing and exploring their faith and fellowship at Coldbrook Christian Reformed Church. 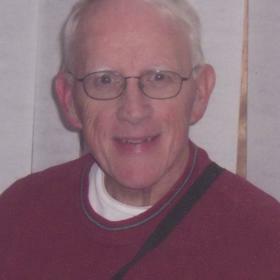 He attended Creston Christian Elementary and graduated from Grand Rapids Christian High School with the class of 1955. His very first job was mailing orders for Siegel Jewelers. After high school, he studied accounting at Davenport College. Upon graduating with his degree, John’s first found work at Strauch Office Supply as a bookkeeper. He later worked as an accountant for Crown Beauty Supply Co. on Broadway St. for many years. At age 61, he then started at Reeves Plastics before retiring. 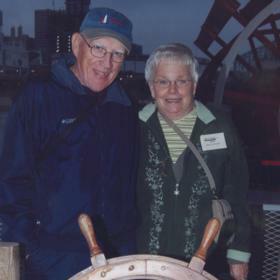 As a boy, while attending Coldbrook Christian Reformed Church, John first met Delores Klynsma. Later, at the age of 19, he first asked the lovely 16-year-old Delores out for a date. Soon they were a couple setting their eyes on a future spent with one another. On September 23, 1960, the happy pair exchanged vows at Fountain St. Baptist Church Chapel and joyfully began their 58-year marriage. Upon returning to West Michigan after their honeymoon to the Great Smoky Mountains of Tennessee, the newlyweds settled into an apartment on Cedar St. NE. Two years later, they bought their first home on 2012 Coit Ave. where they joyfully welcomed and raised their daughters Nancy and Lorie. Fatherhood was John’s greatest privilege and he proudly worked to provide a loving home for his family. A man of many interests, John loved to fish with his father and brother-in-law in Clare, play baseball with the kids in the neighborhood, and ride his bike. As a teenager, he was a caddy at Kent Hills Country Club. John enjoyed golf with his Blythefield buddies on Wednesdays at Stoney Creek. He bicycled so much that he commuted to and from work on it--even in the winter! Vacationing with his girls in Northern Michigan and the Upper Peninsula became treasured memories for the entire family. John tended his garden with great care, and the bounty it provided included the most delicious tomatoes, broccoli, cucumbers, zucchini, beans, and dill. He relished in his time on the greens at Stoney Creek on Wednesday a,m, and enjoyed listening to the masterful Country music of Johnny Cash, Merle Haggard, and George Jones. 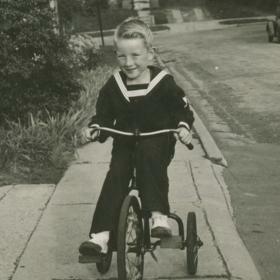 An avid reader, John often had a history book he was working on. His favorite author was John Grisham and Jeopardy and Keeping Up Appearances were his go to TV shows. A devoted Christian, John consciously strove to embody the values of his faith. He loved unconditionally, practiced forgiveness, encouraged peace, and remained humble. In so doing, his heart proved a safe place for others to simply be. John’s efforts to live life in service of others were evident in the way he freely gave of his time and talents. Over the years he volunteered at Bibles for Missions, was a Cadet leader at Arcadia/ Blythfield CRC, kept the accounting for the National Alliance for the Mentally Impaired and also helped withHand2Hand delivering food to children's lockers for the week-end. He had a special bond with Jim R. going to breakfast with him each week. He also, went out with many of his other friends for breakfast. John enjoyed visiting his sister Teen at the nursing home with Charlie. John prayed often and read the Bible daily. He grew his knowledge of the sacred text by participating in bi-weekly Bible study at Russ’ as well as Fall Bible study with Dee at Cornerstone College. Without a doubt, John’s greatest joy came from his family. As his daughters became adults, he relished in sharing their journeys and the growing of their own families. Being a grandfather was truly his heart’s delight. As he watched his grandchildren grow, John recognized the spark of his legacy and his greatest hopes for the future in each of their eyes. Getting to welcome his great-granddaughters into the world proved an even more delightful joy. For John, any day spent in the good company of his family was a perfect day. John enjoyed the powerful gift of several canine companions over the years. Danny Boy and Buffy were great pals who made every day even more special. Charlie was his latest partner; they were fondly known by many as “the man with the little dog.” Every day, this special man and his trusty companion happily explored the neighborhood stopping to chat with others and share the blessings of the day. With his dry humor, congenial smile, and easy humility, John was a gift to all who knew him. Indeed, the world feels less certain in the absence of John’s steadfast presence. May it afford comfort to know that we carry the very best of John’s beautiful legacy in our hearts. With each bicycle ride we take, vegetable we grow, par we shoot, and prayer we offer up, we ensure that the gifts of this good man’s well-lived life continue to inspire others as he so inspired us. John Hollander Jr., aged 80, of Grand Rapids, passed away with his loving his family at his side on Thursday, June 21, 2018, following a massive stroke on June 15th. He is survived by his wife of 58 years, Dee Hollander (Klynsma), his children, Nancy and Tim Logan, Lorie Jo Hollander; grandchildren, Patrick (Pili) Logan, Brian (Jackie) Logan, Emily Logan, Briana and Lily VanderVelde; great-grandchildren, Marlee and Camila; sister, Teen DeYoung; many nieces, nephews and friends. John was preceded in death by his siblings, Bill (Anne) Hollander, Gertrude (Elmer) Bruursema, Sid (Lois) Hollander; brother-in-law, Clare DeYoung. He was a loving and dedicated husband, father, grandfather, and a friend to all who knew him. He was a member of Blythfield CRC. A service to celebrate John’s Life will be held on Friday, June 29 at 11:00 am at Heritage Lifestory Funeral Home, 1833 Plainfield NE. Burial in Fairplains Cemetery. Relatives and friends may meet his family at the funeral home on Thursday from 7:00 – 9:00 pm, and again on Friday from 10:00 am until the service begins at 11:00 am. Contributions in his memory may be made to Bibles for Missions, Hand 2 Hand, or Cadet Club of Blythfield CRC. 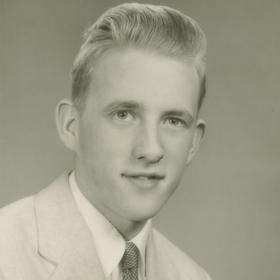 To read more about John’s life, to sign his guest book and to leave your own memory of him, visit his web page at www.lifestorynet.com.